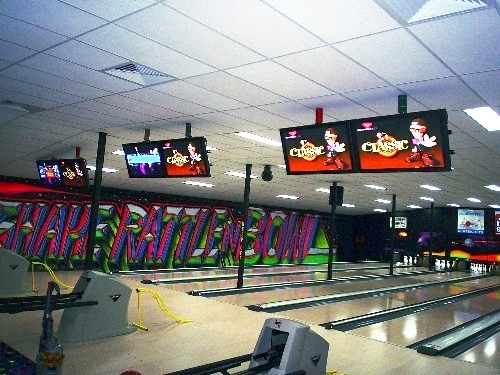 Many older scoring systems may still work just fine but need a facelift by replacing the CRTs with LCD or plasma monitors. 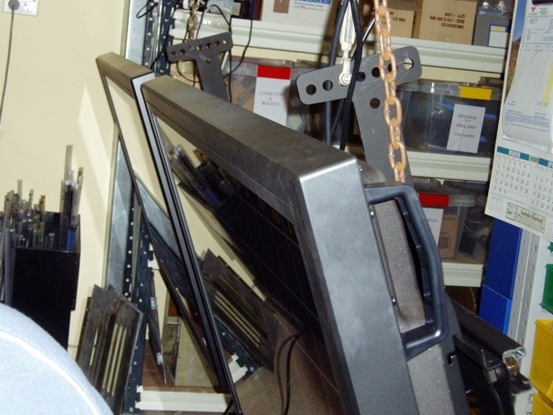 Very few LCD or plasma monitors will connect directly with many older scoring systems because of incompatibilities with the video connectors and signal. You could try a cheap monitor and an expensive video converter. But this is not always guaranteed to work. We have tried many scoring, converter and screen combinations. 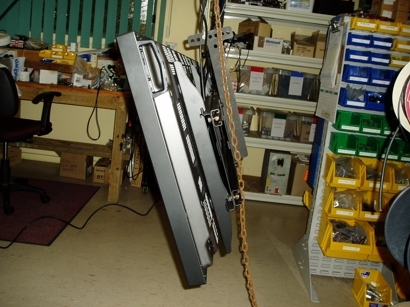 Only a few monitors have/had the capacity to display the low frequency video signal output of the Qubica VDB. Most of those monitors are now no longer available. 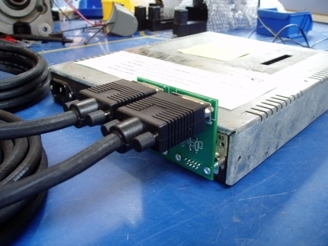 But if you have such a monitor, this VDB Cable Adapter is for you! IMPORTANT: The monitor must be capable of displaying a video signal with a minimum horizontal scan rate of 15kHz. If it can not display the low frequency signal, a video converter or "upscaler" will be required. 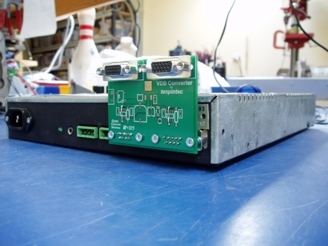 See our Dual CGA-HDMI Converter. 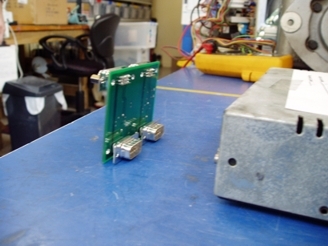 can be used to convert the video signal to a higher frequency that most monitors can display. 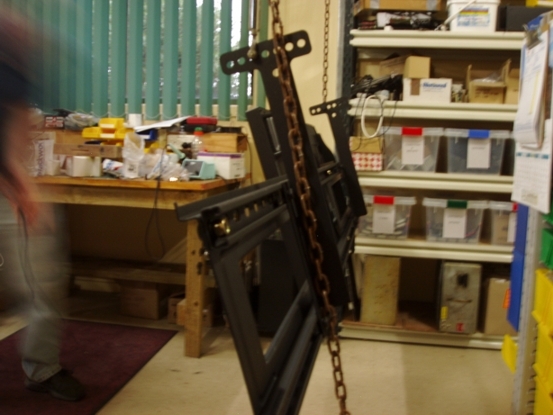 Hanging Bracket assemblies (double or triple) for chains. Adjustable viewing angle and adjustable for chain separation.